New Holland Agriculture announced today enhancements to its Precision Land Management (PLM) Connect Portal as well as the addition of six new API partners. These improvements and partnerships are designed to help customers get the most out of their agronomical data while remotely managing their fleets from any desktop, tablet or mobile device. The new enhancements to MyPLM™ Connect includes the addition of three sections: Farm Management, Fleet Management and Data Management. Basic PLM Connect subscriptions include Fleet Management, while Professional subscriptions provide access to additional features in the Farm and Data Management sections. This tool enables customers to remotely monitor their operations, obtain a bird’s-eye view of their fields, view prescriptions and agronomic data, locate equipment and monitor individual machine performance. Satellite maps help visualize multiple layers of agronomic data, allowing producers to determine solutions to longstanding problems. Field data also can be distributed according to specific producer needs. From a single location, farm managers can provide operators with necessary field information required to get equipment running at optimal performance. Field setup data, such as guidance lines, boundaries and prescriptions, can be shared with multiple pieces of equipment simultaneously for maximum time-saving and ease-of-use. The fleet management portal is optimized for ease-of-use with intuitive technology that allows for information transfer to off-site farm managers, owners and dealers. Equipment parameter notifications can be configured to track and receive mobile equipment data, informing producers about machine speed, fluid temperature and pressure. Should problems arise, farm managers can proactively plan and execute maintenance on connected vehicles. New Holland MyPLM Connect fleet management technology delivers machine-tracking capabilities that producers need to make the most of their time, while enhancing performance for maximum productivity. The Fleet Management portal provides multiple vehicle management options to encourage optimal equipment performance. From field machines to road vehicles, operators can easily monitor everything on the dash in the cab, along with machine hours, service needs and more. With data management portals, users no longer need to use a USB drive to carry their data to a desktop computer or laptop. Instead, data is gathered in the cloud and displayed back immediately. In addition, producers can seamlessly transfer two-way data — down to the field level — to share insights in order to make informed operational decisions. For more information about MyPLM Connect, contact your local New Holland dealer. 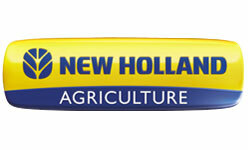 For more information about New Holland Agriculture, visit: www.newholland.com/. New Holland Agriculture and New Holland Construction sell and service an innovative line of agricultural and construction equipment, including a full line of tractors, hay and forage equipment, harvesting, crop production, skid steer and compact track loaders, compact wheel loaders, tractor loader backhoes and mini excavators. Sales, parts and service are provided by more than 1,000 New Holland dealers throughout North America. More information on New Holland can be found at www.newholland.com/.